That lacuna is the very real issue of whether it is ever legitimate to take a picture of another person – whether the individual in control of the camera is the state or a lone photographer – without the acknowledged consent of that person? Top: ‘Weegee’ [Marilyn Monroe], Arthur H. Fellig (ca. 1950s). Why is it OK for an amateur photographer to snap a picture of a bystander, but not OK for the government to do the same? As Susan Sontag famously said, ‘there is an aggression implicit in every use of the camera’, one which ‘may presume, intrude, trespass, distort, exploit, and at the farthest reach of metaphor, assassinate – all activities that … can be conducted from a distance, and with some detachment.’ It is an unspoken question that permeates the history of photography, but has received very little critical discussion. 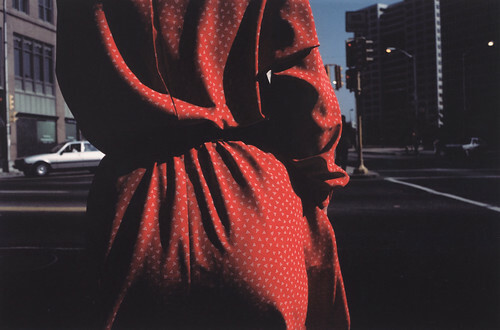 Above: Untitled [Atlanta], Harry Callahan (1984). The wonderful new Tate Modern show ‘Exposed: Voyeurism, Surveillance and the Camera’ is the first comprehensive examination of this subject. Spread across twelve rooms, curator Simon Baker (it was originally conceived by Sandra S. Phillips at the San Francisco Museum of Modern Art) traces the differing ways in which ‘the camera has been used to make images surreptitiously and satisfy the desire to see what is hidden.’ What first strikes you about ‘Exposed’ is that the story closely mirrors the familiar historical narratives of the medium itself. 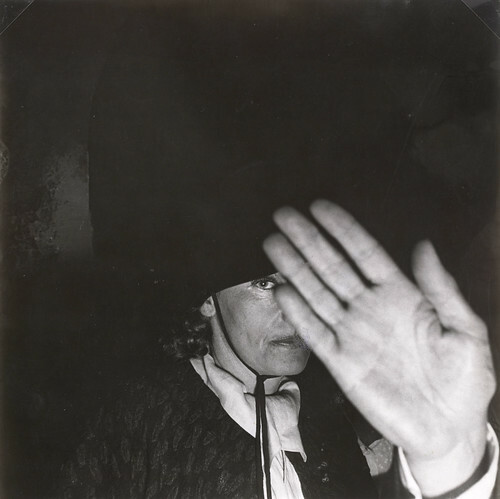 All the icons are represented: Paul Martin, Robert Frank, Cartier-Bresson, Harry Callahan, Walker Evans, Weegee, etc. It is an elision that reveals how the questions raised by the exhibition are often indivisible from the form itself. The exhibition is divided into five sections: The Unseen Photographer, Celebrity and the Public Gaze, Voyeurism & Desire, Witnessing Violence, and Surveillance. The unwieldy nature of early photographic equipment made it very difficult to capture people unawares; the opening section focuses on the rare images which the first photographers were able to shoot while remaining unnoticed. To illustrate this, numerous curios are shown in a cabinet, included a walking cane, shoe and watch – all with built-in hidden cameras. However, ‘Exposed’ really comes into its own with those images we may be familiar with, but have never questioned the circumstances in which they were produced. So, when looking at street shots by Cartier-Bresson or Callahan, we are compelled to consider our position as the spectator of these works. Among these images, the curator has chosen some in which the subject returns the gaze of the photographer. Looking at these is like being a child caught with a hand in the biscuit barrel: a sense of surprise, shock and guilt coalesce into a single moment. Yet such encounters only acknowledge the moral uncertainties that permeate the documentary tradition as a whole. 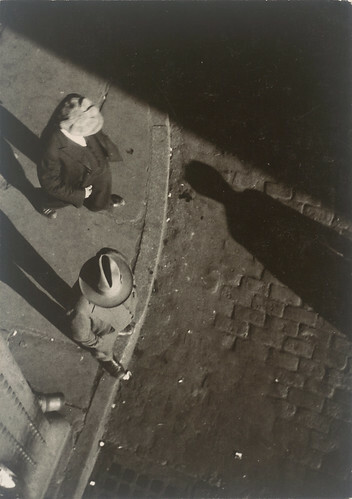 Above: Untitled [Street Scene, New York], Walker Evans (1928). The ongoing dialogue that operates throughout the show is one that oscillates between the ethics of looking and the transgressive or taboo acts that photographers have documented. On the latter, one of the most surprising collection of images are those by Japanese photographer Kohei Yoshiyuki. Taken from a series entitled The Park (1971), Yoshiyuki photographed lovers making out in Chuo Park, Shinjuku. However, the park also attracted groups of men wanting to stalk the young couples. Operating unseen (using a 35mm camera and an infrared flash bulb) Yoshiyuki captured an assortment of men standing behind bushes, crawling along the floor, or spying from behind trees. The works are displayed in a darkened corridor, with the images highlighted by soft pools of light (in the original show Yoshiyuki turned all the gallery lights off and gave the visitors torches). The overall effect is unsettling, but strangely absorbing. Exposed reveals the unspoken relationships that permeate many of our photographic encounters. It reframes the familiar and compels you to question your culpability as a spectator. It is one of the best exhibitions I have seen for many years. Above: ‘Greta Garbo in the Club St. Germain’, Georges Dudognon (ca. 1950s). Eye magazine is available from all good design bookshops and at the online Eye shop, where you can order subscriptions, single issues and back issues. The summer issue, Eye 76, is be a music special. You can read a selection of pages on Eye Before You Buy on Issuu. Student subscriptions are half price, bit.ly/EyeStudentOffer.